in SE1 was a monthly printed what's on guide for the Bankside, South Bank, Borough, Waterloo, Bermondsey and Elephant & Castle areas of London, available free of charge from venues across the area or as a download from this website. 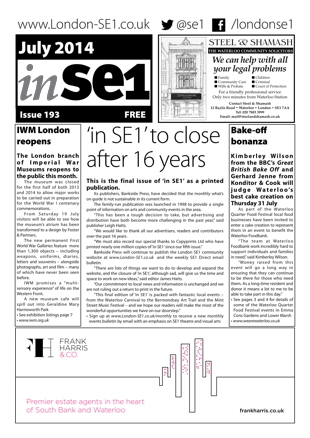 The final edition of in SE1 was published in July 2014. We still offer up-to-date what's on information on the web.